While I could have bought something instead of baking, I wanted to make the most of my month off work. Besides, it’s still January, much too soon to be slacking off on anything! I’ve been following Linda Lomelino on Instagram for a while, and her desserts look like they belong in a fairytale. From cakes to cookies, and everything sweet in-between, I wish I had her magic fingers. 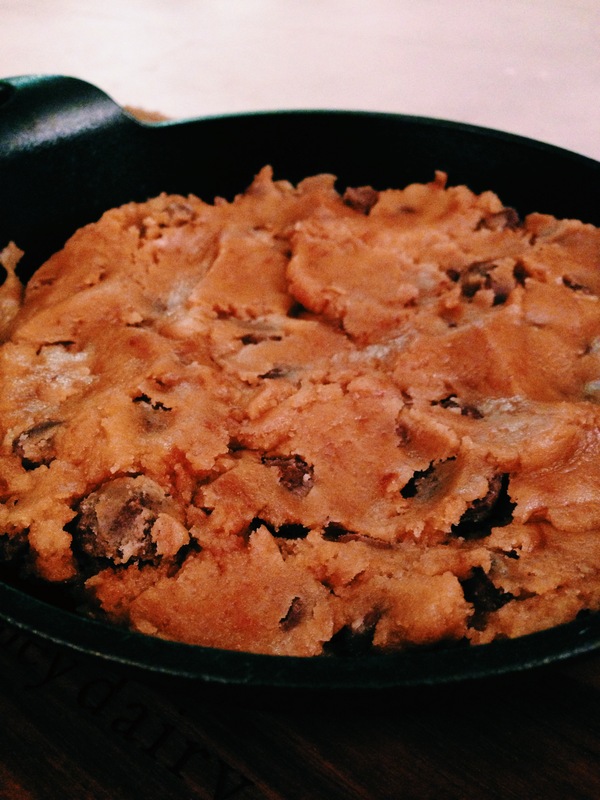 Since I don’t, I decided to try something that looked fairly easy – chocolate skillet cookies. You can find the recipe here. I followed it exactly but added about 60g less sugar – just right for me! Whenever I need an foolproof recipe, I look for Jamie Oliver – and he hasn’t let me down yet! This time I decided to try making a quiche for the first time. I did plan on making the dough as well, but the thought of rubbing in the butter early in the morning… I decided to get some shortcrust pastry from the supermarket instead :D The filling was very easy to make, and one of the tastiest I’ve ever had. You can find the recipe here. 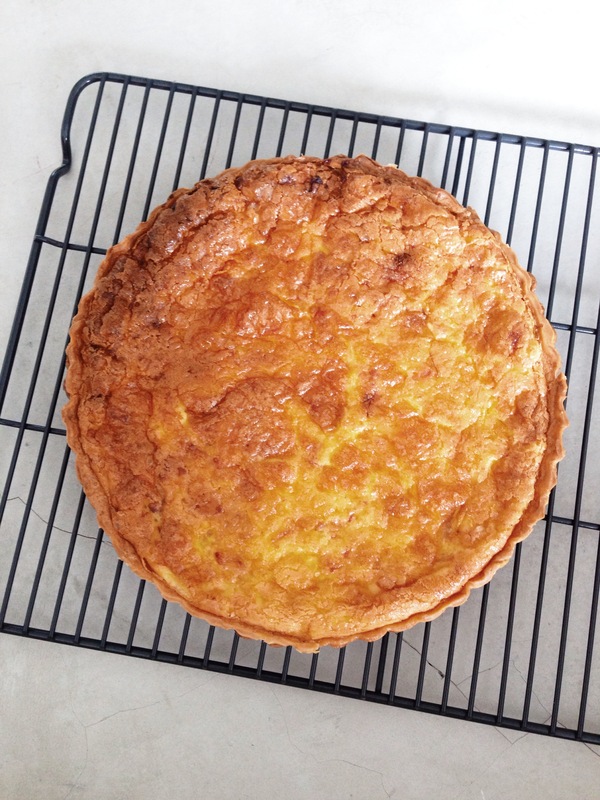 TIP: If you’re using pre-made shortcrust pastry, it’s probably square shaped, while your quiche tin will be round. You’ll find that if you lay the pastry down gently, and cut off the edges, you can use the leftovers to fill in the gaps rather nicely! 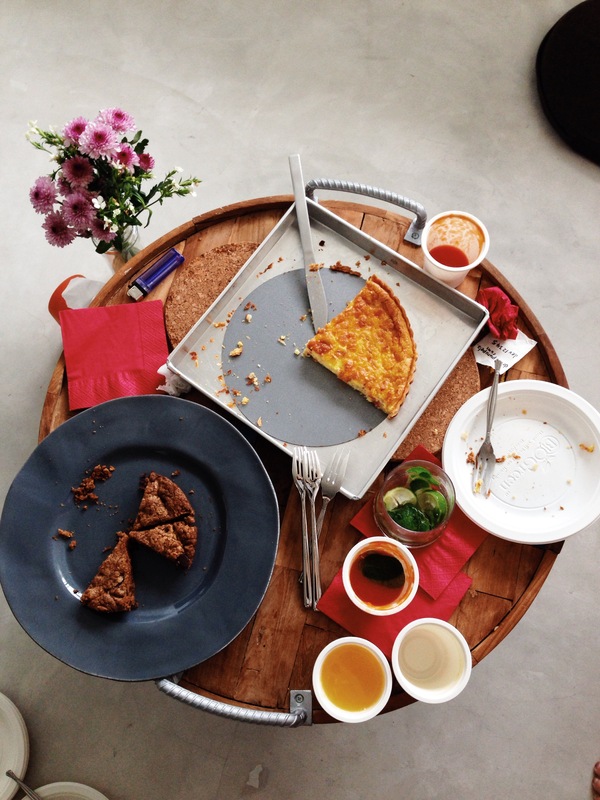 After the early morning rush to finish baking, I wasn’t sure if the cookies and quiche were going to taste ok – especially since it was my first time trying both recipes. Fortunately for me, everyone was either too polite to complain, or they were too hungry ;) Looking forward to more (better planned) afternoon teas!